Now your grUVy baby girl can have fun in the sun AND be fully protected from the sun's harsh rays with our best-selling short sleeve shirt and short set. Designed for babies and toddlers, our fashionable lightweight fabric is so comfortable, she can have all-day UVA/UVB protection for the beach, pool or any outdoor hangout. Plus, our 2-piece outfit makes diaper changing a breeze. MADE IN THE USA and held to the highest quality standards. Why compromise fashion for function when you can have one of these irresistible UV sets? 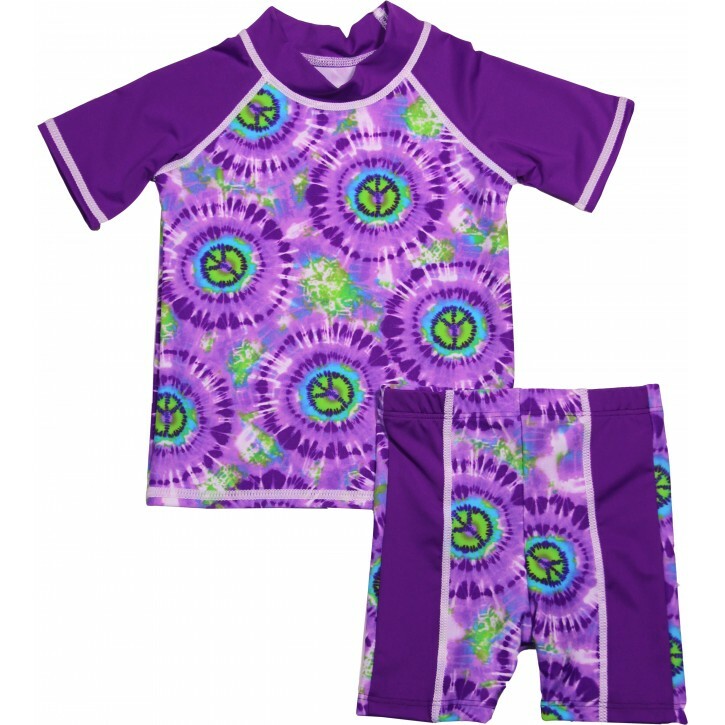 There's a style for every beach baby and this set makes the perfect gift for any little swimmer.